The Honda Grom, practically from the moment it hit dealers’ floors, has become a phenomenon with a cult following. There are Grom gangs, Grom enthusiasts, Grom customs. The little bike with a 125cc engine has captured the hearts of a ton of riders, new and seasoned. We are, therefore, unsurprised but deeply thrilled with the result of Virginia-based custom shop Industrial Moto’s Grom Sidecar build. Frankly I’m surprised it took this long. I mean, look at this charming little thing. It is ready for absolutely anything and will do it all adorably. 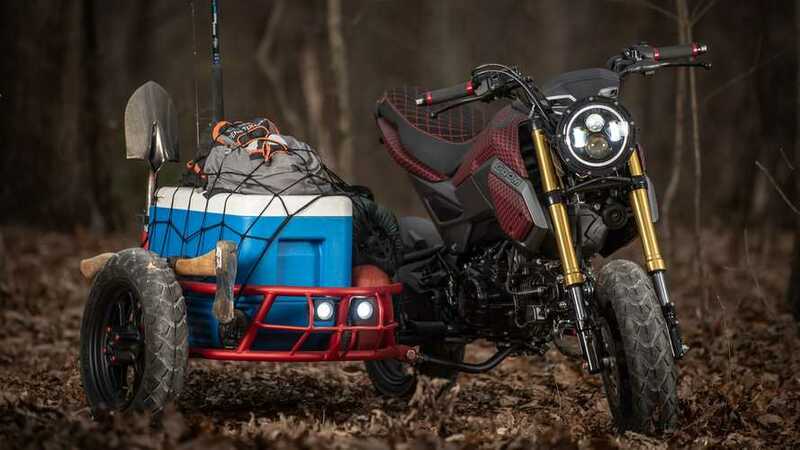 This particular “GUS,” or Grom Utility Sidecar build, is customized: the bike itself has upgraded LED headlights, a gorgeous quilted custom seat, bar-end turn signals, and an aftermarket exhaust. The body panels were “hydro-dipped” (look this process up if you don’t know what it is, because it is fascinating) and the end result is just lovely. The tube-framed sidecar itself is bolted to the Grom has independent suspension and its own LED lighting, as well as optional detachable handle bar, passenger seat, and storage box. 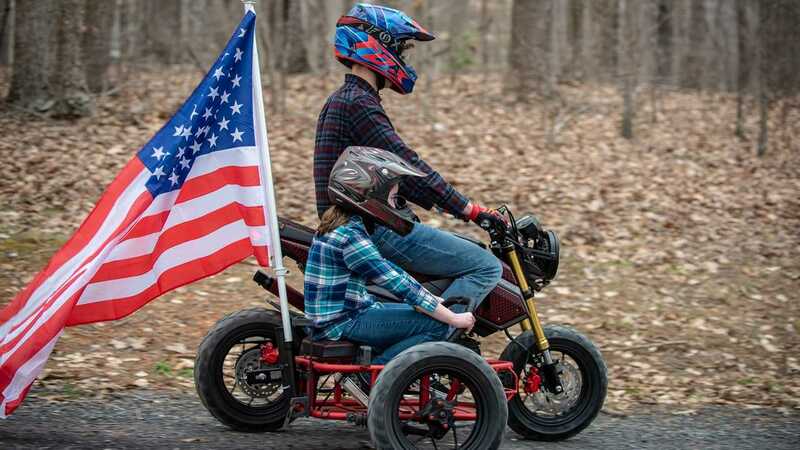 That’s right, I said those were optional accessories, because unlike a lot of custom builds we come across, you can buy GUS the sidecar to bolt to your own Grom! The shop will powder coat a sidecar for you in any color you like, and they start at $1,600 (optional parts are extra). You can bolt the sidecar on and take it off; it is not a permanent install. You can hoon your hack and then pull the sidecar off for some more traditional 2-wheeled fun. Grom owners with dogs and/or children take note: your summer is about to get a whole lot more fun, and so is theirs! Place an order now and it will ship to you in June. This whole build makes me want to buy a Grom.